NEW CARLISLE — With no disrespect to the other teams in the Culver Academies sectional and regional fields, it’s become pretty clear that Warsaw’s cross country teams are in a league of their own. 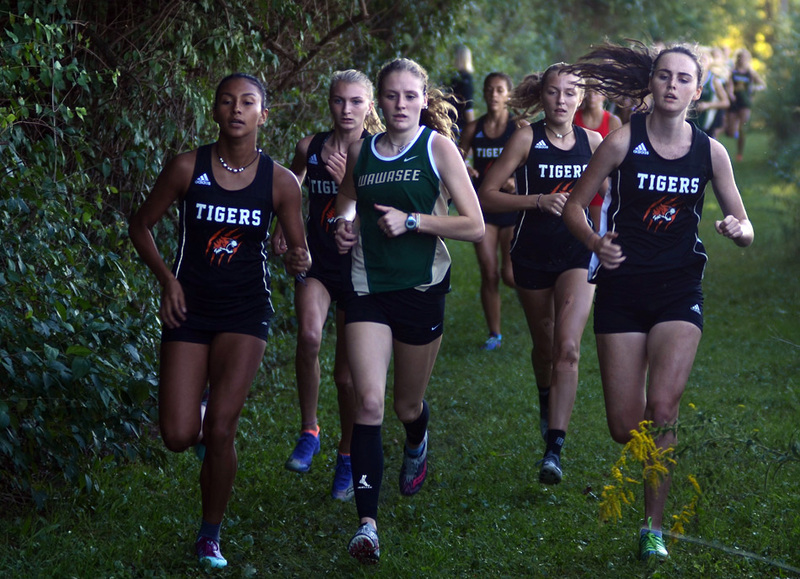 Two weeks ago, both of the Tigers’ cross country programs won their eighth straight sectional titles, and last week they followed up with a seventh straight regional title on the boys’ side and sixth straight in the girls’ race. This Saturday, the climb gets a whole lot steeper as Warsaw toes the line at the New Prairie Semi-State, where a top six finish would give either Tigers team a berth at the state finals in Terre Haute. Last year, the Lady Tigers placed ninth at semi-state, snapping a string of four straight state finals berths. They’re hoping to get back out this season, but it’s going to be a much tougher go with teams from the Crown Point, Harrison and New Prairie regionals all joining the field this week. Wini Barnett and Adree Beckham have established themselves as the consistent front-runners for the Lady Tigers, while a rotating cast of runners have slotted in at the three through six positions in the lineup in Angie Sanchez-Vijil, Ava Knight, Remy Beckham, Amslie Howett, Taylor Gunter, Megan Dawson and Alexandra Hermann. It’s less about times at this point in the year than picking out runners and simply competing, and Fleming likes where his team is at in that regard. “We kind of look at placings now more than times as far as how we’re kind of gauging ourselves. We overtook some runners that beat us last week. I thought the kids competed well fighting for places,” he said. Warsaw’s Sam Lechlitner enters the homestretch at the NLC Championships earlier this season. The last time Warsaw’s boys earned themselves a top six finish and a state berth at New Prairie was half a decade ago in 2013, when the Tigers earned themselves a runner-up finish at semi-state on the way to a 12th-place result at the state championships. Warsaw’s boys were relatively close last season, finishing eighth place — albeit a distant 57 points from sixth-place Chesterton — but it wasn’t the team’s best effort. This year’s overwhelmingly young squad has avoided the roller coaster-like ups and downs of 2017, and given last weekend’s regional result, head coach Jim Mills thinks his team has got a definite shot to make it out to Terre Haute once more. Leading the team one last time is senior Zeb Hernandez, who is coming off a runner-up result at the CMA Regional. Sophomore Sam Lechlitner finished less than half a minute behind Hernandez in a third-place result, while fellow sophomore Jacob Kissling also made the top 10 in seventh place. 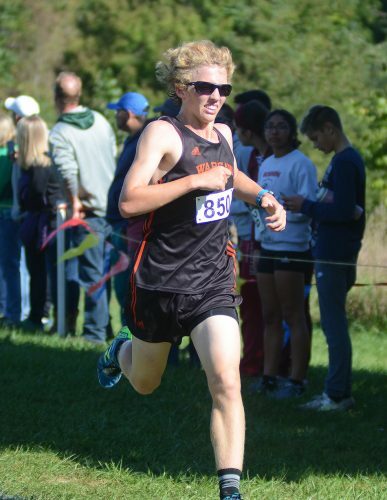 Jack Horoho broke into the top 20 in 15th place, and Tanner Stiver did likewise in 17th place despite a nagging foot injury, while Fernando Niebbia finished 34th in a show of depth by the Tigers. “With the times they ran on that course (in Culver), hoping Tanner, it’s just a minor strain he has there in his foot. If he gets back up where he belongs we’ve got a shot. I don’t think there’s any doubt about it,” said Mills. Also in the hunt to advance in the team meet, Manchester’s girls enter New Prairie following a third-place result at last weekend’s regional run. As with every other stage of the state series, the top 10 individuals from non-advancing teams may also earn a berth at the state finals. Manchester’s Carter Bedke, and Tippecanoe Valley’s Matthew Howes are still alive at New Prairie, while Wawasee’s Spencer Hare, Michael Hammer and Kenzie Smith and NorthWood’s Tyler Evers and Whitney Wolfe all advanced individually to the New Haven Semi-State at the Purdue Fort Wayne campus Saturday.